Klaus Moser (born in 1962) studied psychology and philosophy of sciences at the University of Mannheim. After earning his Diplom in 1986, he worked as a research associate at the University of Hohenheim until 1995, completing his doctoral degree there in 1989 followed by his habilitation in 1994. From 1995 until 1998, Professor Moser was Chair of Industrial and Organizational Psychology at Justus Liebig University Gießen. 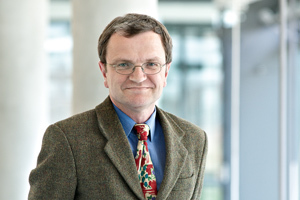 He has been Chair of Economic and Social Psychology at Friedrich-Alexander-Universität Erlangen-Nürnberg (FAU) since 1998. Among his research priorities are personnel selection, performance appraisal, organizational commitment, unemployment, and the psychology of advertising.